Tomorrow is the day. I hope. It has been a whirlwind this spring, spinning us from hope, to frustration, to anxiety, and nearly to despair. Back in early April, for the first time in many years it looked like seeding would begin early. Fields only had a light coating of snow, and a long and brutal winter was finally drawing to a close. The days were growing warmer, and the snow was finally beginning to melt. It appeared as though spring had arrived, and the forecasts for May looked excellent, with cool but dry weather taking us through seeding, until a wetter June would arrive just in time to germinate crops and get everything growing. There were some real concerns about dryness, with fields looking almost concerningly dry. All of that has now changed. In April through the first weed of May, we received twice our normal rainfall (and snowfall! ), coupled with far below normal temperatures. The ground went from dust to mud, and the cold weather never even let the frost come out. The soil profile still has frost in it a few feet down, and now every low spot is wet. We have reached the 8th of May with virtually no fieldwork happening in the entire region. In fact, until just recently, almost all of the Canadian Prairies were stalled; few farmers could even get in the field to do rudimentary fieldwork. This weather pattern has been frustratingly persistent. 2009 was a late start to seeding, and was a cool, wet year right through until harvest. 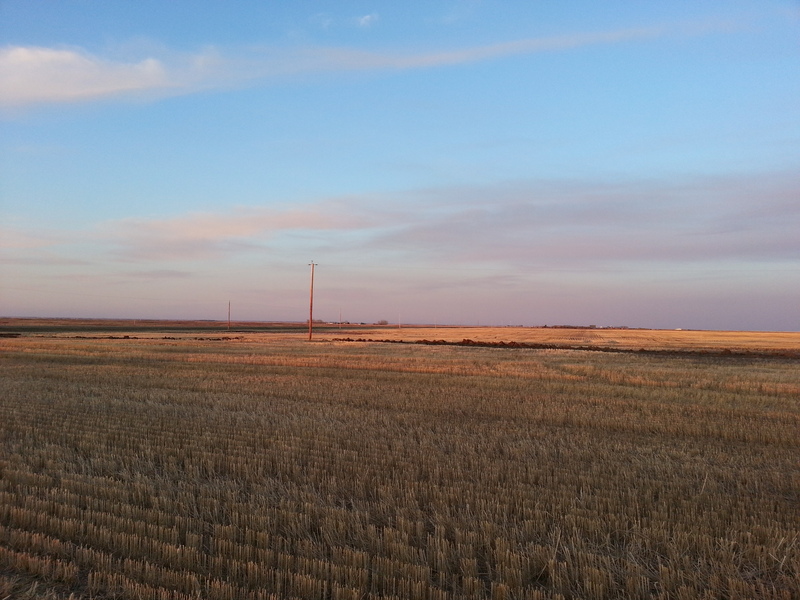 Of course, although seeding was difficult and harvest even more so, a year like that grows an amazing crop. The next year, 2010, was much worse, with snow arriving in late April, shutting us down for some time. We were unable to finish seeding that year, and the crop was very poor, with saturated soil conditions killing much of our crops. 2011 was the worst of them all, with seeding being virtually nonexistent. That was a tough year to be a farmer; we all need plants and crops to tend to. It’s why we do what we do. Since 2011, we have had two great crops, but spring has still been difficult, with wet and cool weather plaguing us. Low spots are continually underwater, despite our best efforts to look after them, and our drills spend more time turning than they do in the ground. We need a weather pattern change. We need to get to drier and warmer weather, or we again run the risk of not completing seeding. We get a very short window to get the crop in the ground here. Usually, it starts in late April and ends on June 15, when the Crop Insurance deadline is. Lately, it starts in mid-May, and the Crop Insurance deadline is what it is. We are losing three weeks of normal seeding weather, and this year will be no different. Oddly enough, last year was in some ways more conducive for seeding than this year. Although we still had snow all over the place a year ago today, warm, bright, windy weather swooped in just in time at the beginning of May, melting the mountains of snow and getting us to the field surprisingly early. 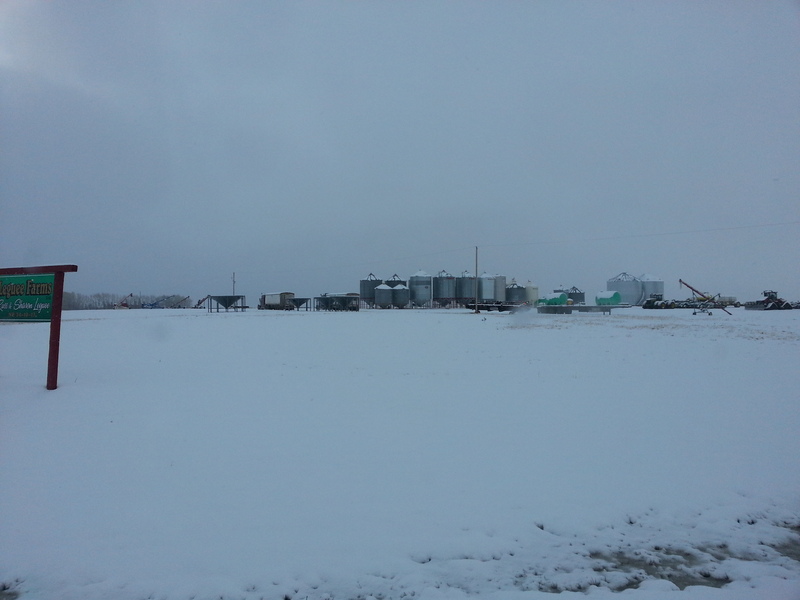 This year, we had very little snow, but cold weather has kept drying rates down to nothing. In reality, this is simply one of the weirdest springs I can ever remember. Well, that’s the bad news. The good news is that the weather is improving, and the last couple of days have been much better, and tomorrow looks to be beautiful. There was a lot of rain forecast for this weekend, but that has now been reduced to next to nothing. So we have a goal of getting one of our two drills to the field tomorrow, and maybe getting some fertilizer spread on our winter wheat (it looks excellent, by the way; I wish we had more of it!). If the weather cooperates, we could see some real progress by this time next week. This is one of the most stressful times of the year for every farmer, when frighteningly large sums of money are thrown into the soil and into Mother Nature’s unreliable and often thrifty hands. The last question any farmer, especially this one, wants to ponder is, “will I be able to get my crop seeded this year?” Unfortunately, I have been on the “no,” side of that question before, and it is a terrible feeling. It is so frustrating to once again be faced with that question. Frighteningly, we are one large rain event away from being in real risk of not seeding this year. All we can do is hope that that rainfall event doesn’t come, and that heat graces us over the next few weeks. Some say optimism is blind, and sometimes I agree with that. But if we want to truly have a shot at getting the crop in the ground this year, a little blind optimism is not a bad way to go. Tomorrow is the day that we try to get a drill in the field, and if the equipment cooperates, maybe we can make that happen. If we do our part, all we can hope for is that Mother Nature does hers.